Independent villa in a gated complex in Estepona west with private swimming pool. South orientation, two levels, 3 bedrooms, 2 bathrooms. On the main entrace there is entrance hall, kitchen with separate laundry, living room in split levels with fire place with access to the terrace and to the private swimming pool and the private garden. On the same level there is also one bedroom with bathroom. On the upper level there is another small living room and two bedrooms with one bathroom and a terrace with garden views. The villa has a private parking at the entrace of the house. The complex has 3 swimming pool and tropical gardens. It´s walking distance to the beach. 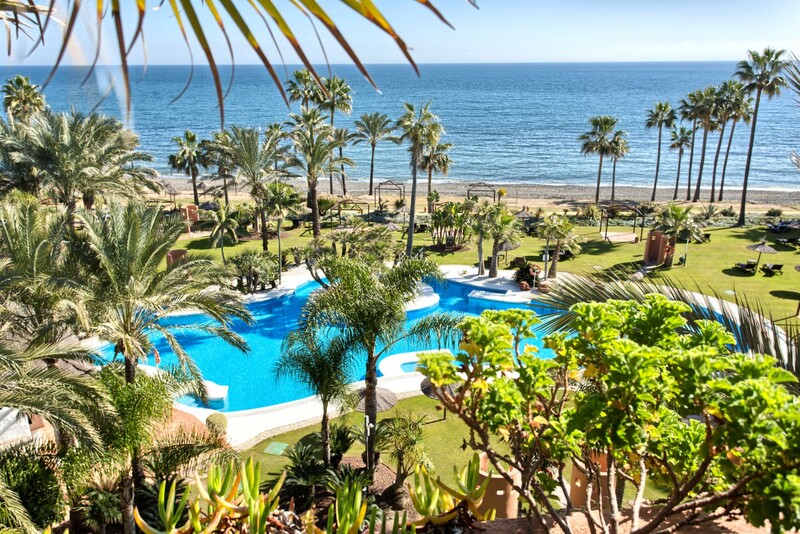 Just 5 min drive to the center of Estepona and all amenities. Need some renovation. Very good potential as an investment for short and long term rentals. Please, contact me about ref 223-00959P, Villa on sale in Bahia Dorada, Estepona, or similar properties.